In a unanimous decision authored by Justice Ruth Bader Ginsburg, the Supreme Court held that a lawsuit may not be brought for copyright infringement until the U.S. Copyright Office has acted – either granting or refusing an application for registration. As this blog noted last year, there was a circuit split as to whether a plaintiff could sue once the application was filed. The courts that held that filing an application was sufficient reasoned that the plaintiff would ultimately be entitled to sue after the Copyright Office weighed in, no matter the decision, so there was no reason to wait. The Supreme Court disagreed, holding that the registration requirement means what it says and that a registration must be granted or refused by the Copyright Office before a lawsuit may be brought. 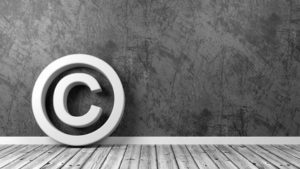 As we have previously suggested, the Court’s decision will likely make bringing an infringement suit more difficult because applicants will have to wait for the Copyright Office to respond to their application, a process that could take nine months or more. Alternatively, potential copyright owners who want to sue might feel the need to register their works immediately through the Copyright Office’s five-day expedited process, which costs $800, and could get prohibitively expensive when registering multiple works.